Was Millie the artist of this sketch of a WASP instructor? This is the second of many stories I hope to collect from others who have known one of these heroines. Thank you Mr. Hyre for allowing me to make this available to share with others. I was contacted by John Hyre in September of 1996. He told me that his grandfather, W.C. (Bill) Harper, taught many of the WASPs to fly using PT17s and PT19s. One of Mr. Harper's students was Millie Grossman. 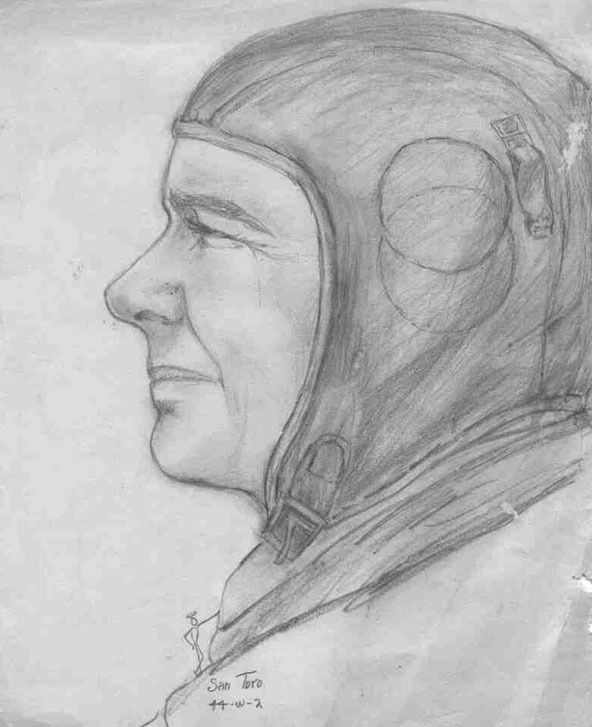 John has a sketch of his grandfather, shown below, that he believes was drawn by Millie. Notice the stick figure with a halo at the bottom of the sketch. Some of his other students were Virginia Stell, Lorraine Zillner, Virginia Broome, Edna Maginis, and Betty Williams. With some help from my mother , John was contacted by Betty. After basic training, class 44-2 , Millie was assigned to Dodge City Army Air Base for B-26 flight training. After that, she was reassigned to Gowen Army Air Base in Boise, Idaho, where they flew B-26s in formation with B-17s. On December 12, 1944, she arrived back in Texas at Dalhart Army Air Base. Millie and another WASP, Gloria Heath, became the last two WASPs on active duty to be transferred during WWII. The WASPs were officially disbanded on December 20, 1944. 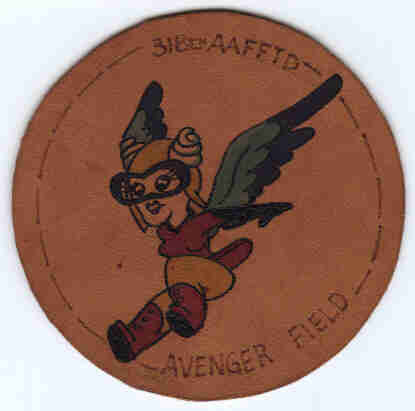 John also provided a picture of a patch with Fifi. The AAFFTD stood for Army Air Force Flight Training Detachment.